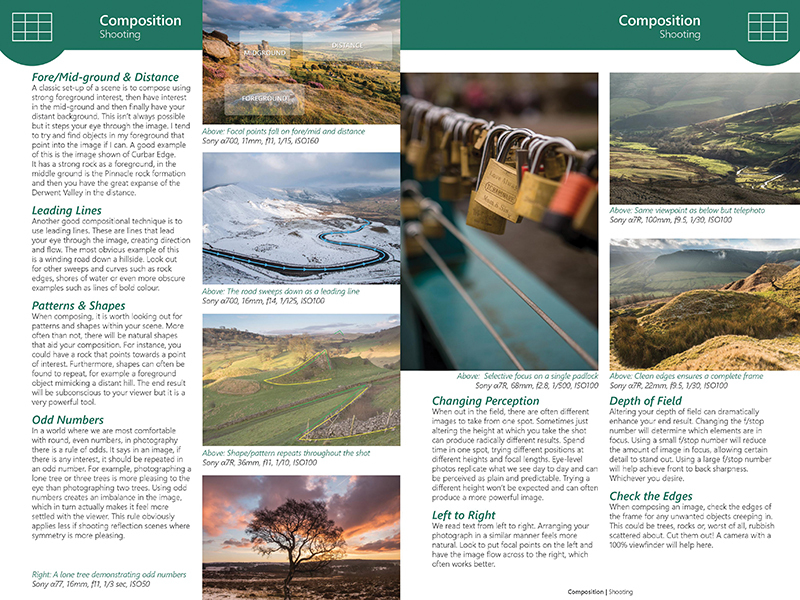 A landscape photographer friend of mine, James Grant, has just completed compiling a book about his local passion of shooing in the Peak District. In the Peak District the public has a right of access to about 500 sq km of Access Land in the National Park. This includes moors, heaths, commons, unimproved hills and dale-sides and land above 600m. 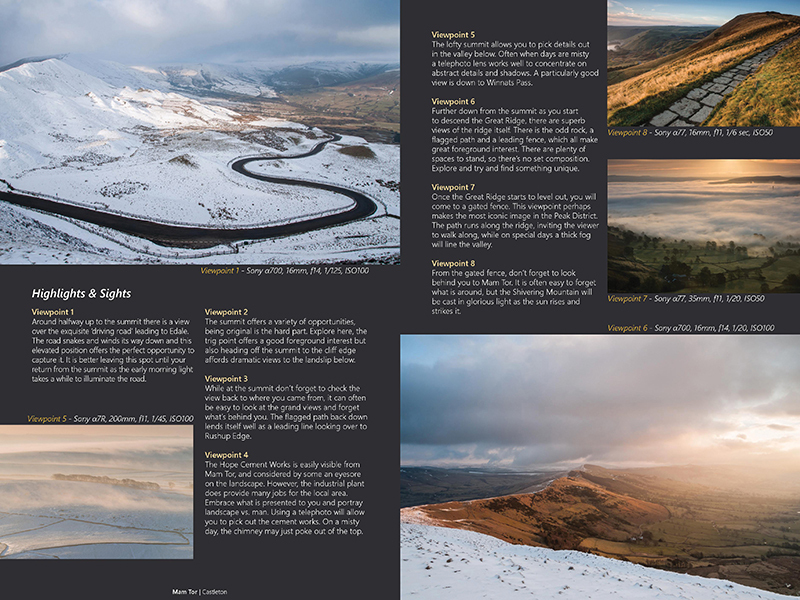 I have only limited experience of the Peaks photographically, with a friend living close, it’s an area I plan to visit more, with the camera, and thus pre-ordering this book was a given. 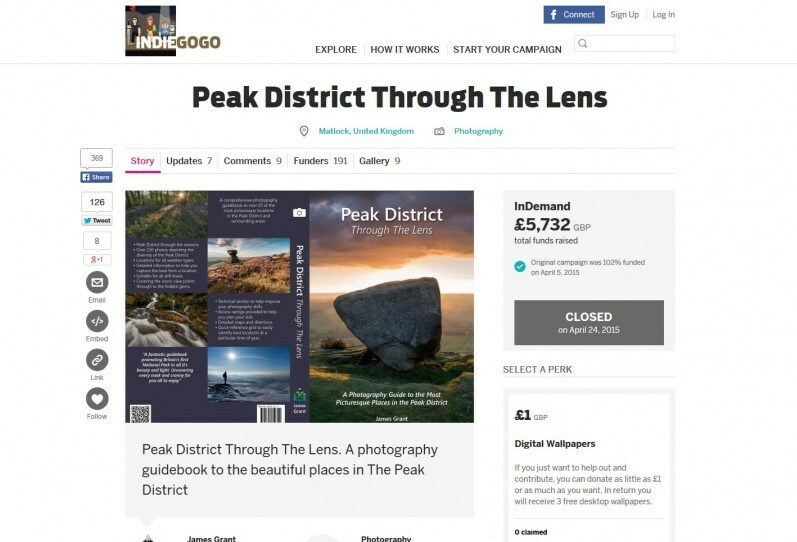 He was finalising the book with a publisher but after this fell through he turned towards friends, family and the photography community to crowd source its development (with some encouragement) via IndieGogo. It’s lucky his partner, Sarah Pickering, is a graphic designer, helping James with the design and layout. It didn’t take long for him to raise the target of £5k and more. We’ve been waiting for our signed copy and this week I received mine and thought I’d do a small review. 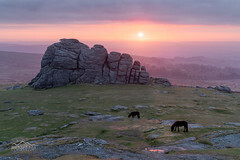 It’s a chunky book with 400 pages, which given the area, (Dartmoor being twice that area) is good going! Maybe best gen up before you leave the car unless you, unlike me, carry light gear. I think this is more of a reference book than a pocket guide with it’s size and weight (which in itself is not a criticism). I find quite a lot of guides quite limiting with just a few common locations rather than a locals wanderings and discoveries. 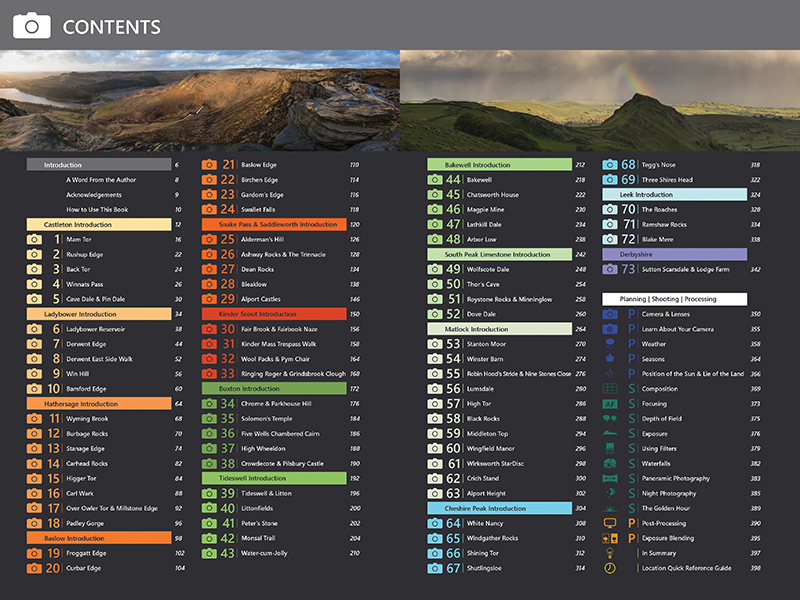 The contents page is well organised into the different areas of the Peaks and colour coded throughout the book so easy to flick through if you are in a rush. 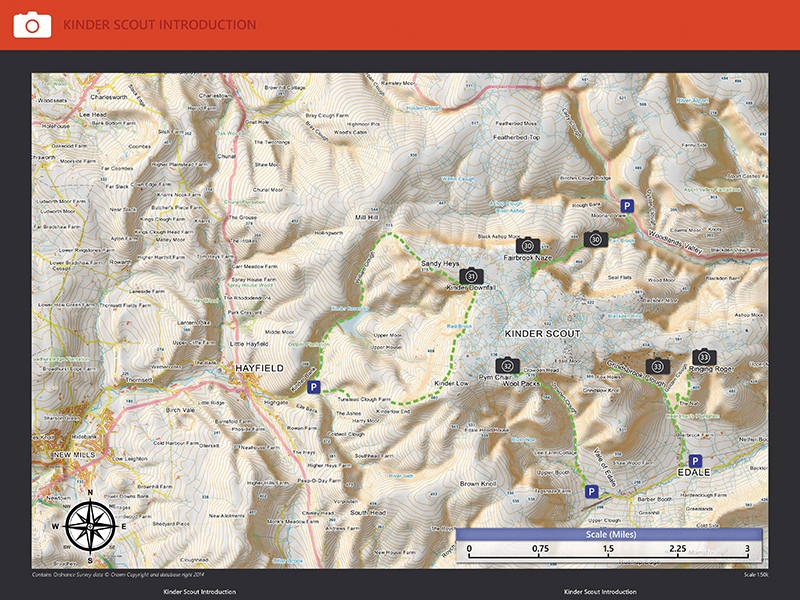 Each area section (Dark Peak, White Peak and South West Peak) is sub-divided into locations. Each location page has an intro and historical background (I am usually very interested in this aspect as it gives you more information about what to look for when you get there too). 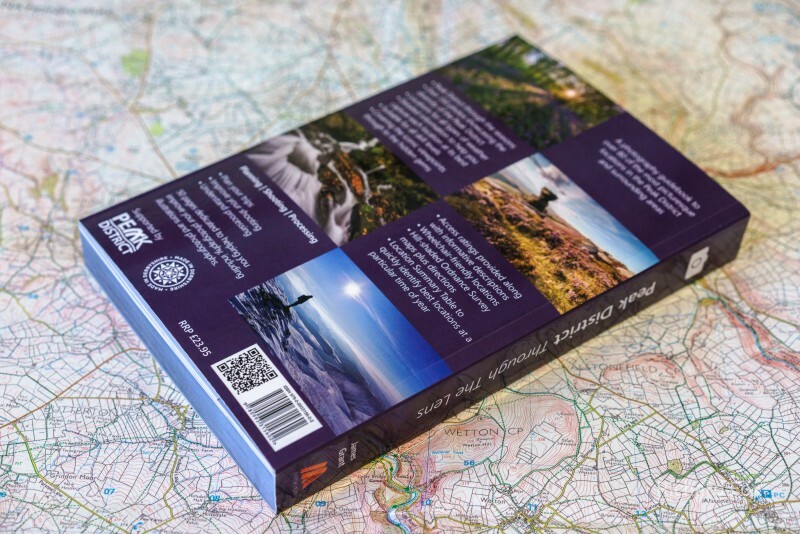 A key info section is a great idea to find information past like grid references, postal codes for sat navs, which OS maps cover the area and also best time of year to shoot regarding sun positions and habitat. The reference images are of a very high standard (often lacking in some books I have read) and are obviously by one author (unlike some I have read too). The ‘how to get there’ sections are well planned from several directions. There are several entries on each location with regards to the best viewpoints to shoot (or even just view). Obviously if you are a local, then unless you haven’t visited that area before, or a beginner, then this is something that most should know. The beginning of each area section there is a customised OS style map (1:50k) with each location marked and also roads, contours, rivers etc. based on OS mapping data. 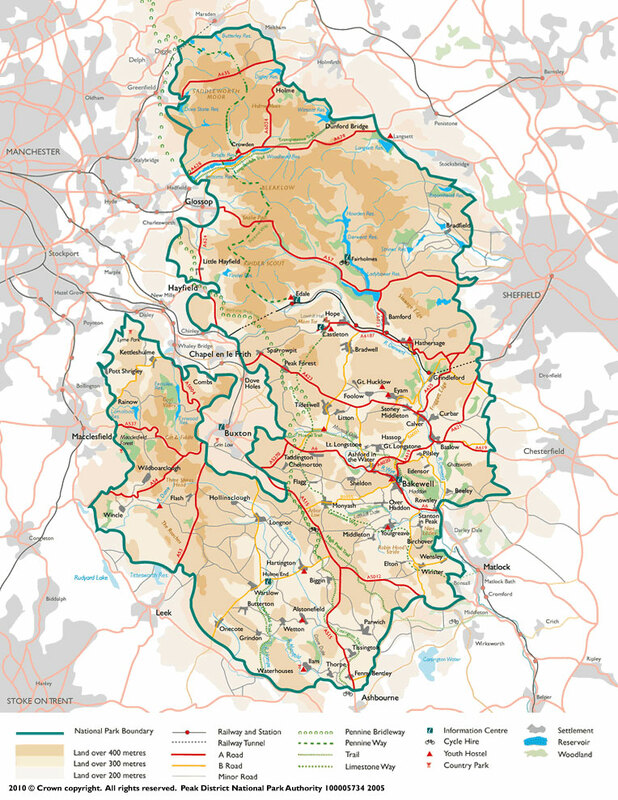 Whilst further into each section there are larger scale (1:20k) maps to give more detail and also notes on public rights of way and land access. Seems James has thought from a photographers point of view giving consideration from the setting off and getting to your location without the hassle of guess work; parking close enough being the hardest thing if time is limited in my experience (none of us are against a good hike in but timings are usually the crucial point unless you are wild camping). As you get towards the rear of the book there are helpful photography tips for beginners especially (although I’m sure the experienced could still pick up a few tips). From planning and getting to know your camera, composition (below), basic processing including layer blending, grads and filters, and also different types of photography including long exposures. Obviously there are limitless places to shoot in the UK. 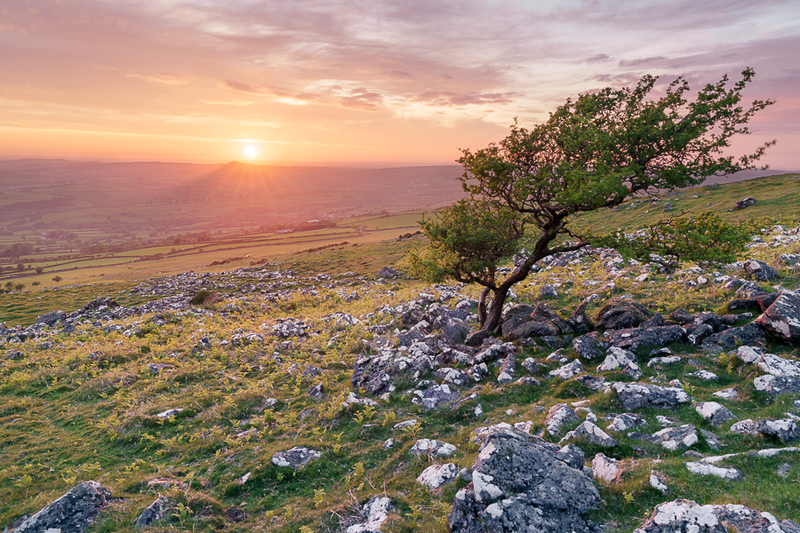 I haven’t even shot a tenth of my local national park, Dartmoor, in the last three years. This book is a culmination of the last 7 years, mostly from the last 5 years, James has been shooting landscapes. 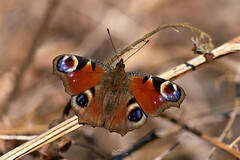 I have only got to know him in the last couple of years and is a very proficient photographer with a lovely portfolio. I could sound biased, but after reading though this book, it does compel me now to get up to the Peaks and other northerly locations more. 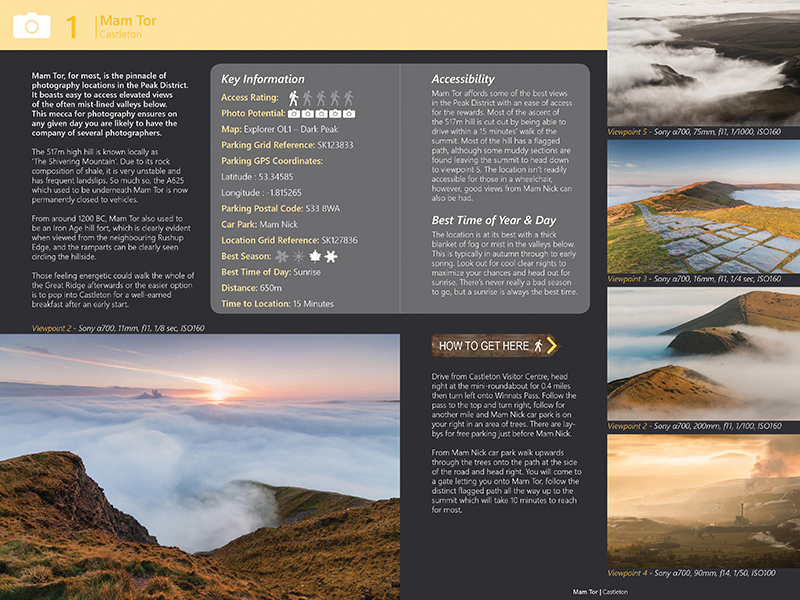 I think although this book is a great source of information to landscape photographers about the Peaks, and also walkers and other open access land users. It is also a great source of inspiration for any part of the country. 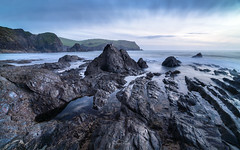 Shooting heather, mist, villages and waterfalls to name but a few are common aspects we landscape photographers like to shoot but sometimes forget are on our own doorstep. I have had a fairly extensive read of the book (bit of speed reading). 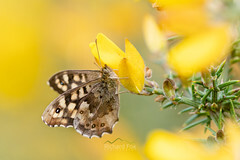 I particularly like the fact that his images are naturally processed, taking advantage of good light to bring out the beauty rather than trying too hard with processing. OK full page images are nice to look at but a photographer, although appreciating the images in this book, rather wants to have images from different viewpoints, so that can make their own composition and mark. I know I scour google images for locations, preferably walking sites and POI sites (rather than well composed landscape photographers images – so I’m not biased) before I visit to get an idea of the layout; as well as 1:25 maps for contours and the lay of the land. Obviously I can’t vouch for the accuracy myself as I have yet to use it in the field but a friend of mind, Andrew Yu, did some proof reading for James in particular areas and can certainly vouch for it. 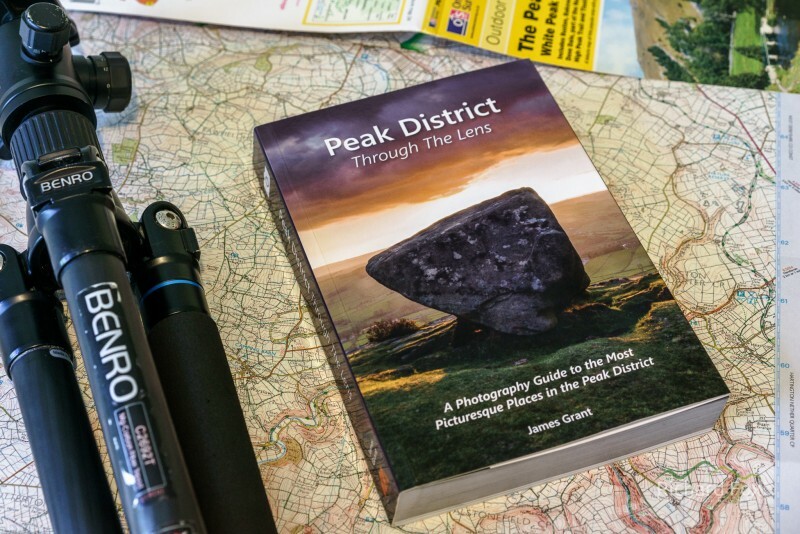 Given this is a self-publish book, which sometimes are a bit short on quality, I think it looks very professional and I am sure it will be very popular to people both visiting the peaks and also the natives. After reading through some of the main locations now, the main plus point of this book, over other guides I have read, is the more intimate details of where to walk, the background history and its significance, and also the kind of “quick cheat sheet” you also get rather than having to wade through vast quantities of text to find what you want (The latter I guess is not specific to this book but I think more detailed). Althought the book is not hard-backed it does have a folding front and back cover (would weigh a ton in hard-back) to help protect it and the pages are secured to the spine with thread. My only criticism, which is also a compliment, is it’s size. Many probably want a pocket guide, and this is far from pocket sized, but for me personally, I’d leave it in the car after reading the approprate section anyway (what I would do with a pocket guide to be honest). I wish James well with the guide. If you want to purchase a copy the book retails for £23.95 and you can buy your copy from James Grant Photography with free P&P.